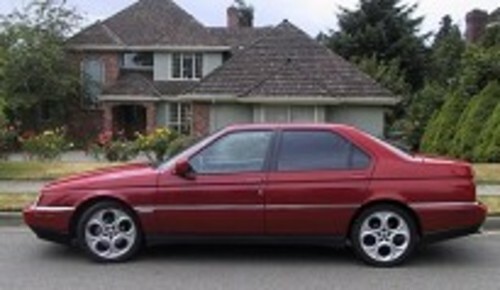 This is the COMPLETE official ALFA ROMEO 164 service manual from ALFA ROMEO. Production model years 1994 1995 1996 1997. These ALFA ROMEO 164 service manuals are your number one source for repair and service information. They are specifically written for the do-it-yourselfer as well as the experienced mechanic. Using this ALFA ROMEO 164 manual is an inexpensive way to keep you vehicle working properly. Each ALFA ROMEO 164 workshop manual provides step-by-step instructions based on the complete disassembly of the machine. It is this level of detail, along with hundreds of photos and illustrations, that guide the reader through each service and repair procedure. * This ALFA ROMEO 164 repair manual also makes it easy to diagnose and repair problems with your machines electrical system. Troubleshooting and electrical service procedures are combined with detailed wiring diagrams for ease of use. GET YOUR ONLINE SERVICE MANUAL NOW!! best manual we have seen for the 164. this is the actual factory manual from alfa romeo and it shows. very clear and covers everything. lots of good diagrams and complete schematics. cheers! THANKS third manual i have bought for my 164 and the ONLY one to accurately detail the procedure i was doing. thank you thank you! PDF was organized and complete, good deal for the money because u cannot find this anywhere else and i have tried. use of this manual totally paid for itself!